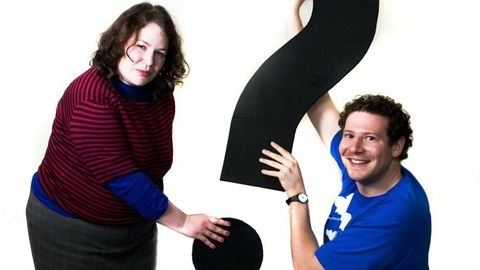 Helen Zaltzman and Olly Mann host the award-winning podcast that has been answering the world's questions since 2007. Visit our official website at answermethispodcast.com and buy episodes 1-200, albums and apps at answermethisstore.com. Unearthed from the AMT vaults, it's episode 134, originally aired 6 May 2010. Helen and Martin were freshly united in engagement, and we didn't quite yet know it but the Conservatives and Lib Dems were about to be united by a hung parliament. Also, way back then, phone chargers were much chunkier, which made it more notable when people were smuggling them in their bodily passages. Plus! Questions about JDate, dinosaur meat, porky pies, the newly completed Burj Khalifa, and fonts. This episode originally appeared at answermethispodcast.com/episode134. This retro episode is available in your feed for one month only, but if you'd like to add episodes 1-200 to your permanent collection, head to http://answermethisstore.com. There'll be an all-new episode of AMT on the first Thursday of the month. Send us questions to answer: email written words or voice memos to answermethispodcast@googlemail.com. 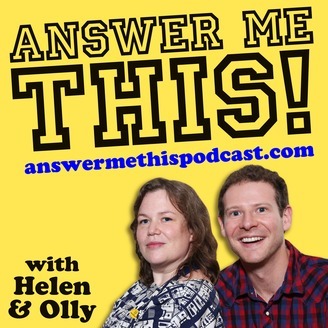 Tweet us http://twitter.com/helenandolly Facebook http://facebook.com/answermethis Subscribe on Apple Podcasts http://iTunes.com/AnswerMeThis Hear Helen Zaltzman's podcast The Allusionist at http://theallusionist.org, Olly Mann's The Modern Mann at http://modernmann.co.uk, and Martin Austwick's Song By Song at http://songbysongpodcast.com. This episode is sponsored by Squarespace and Haynes publishing. Want to build a website? Go to http://squarespace.com/answer, and get a 10% discount on your first purchase of a website or domain with the code 'answer'. Also! Get free audiobooks and half-price Audible subscriptions at http://answermethispodcast.com/audible - and while you're browsing around Audible, be sure to download Olly's new series Tip the Scales.